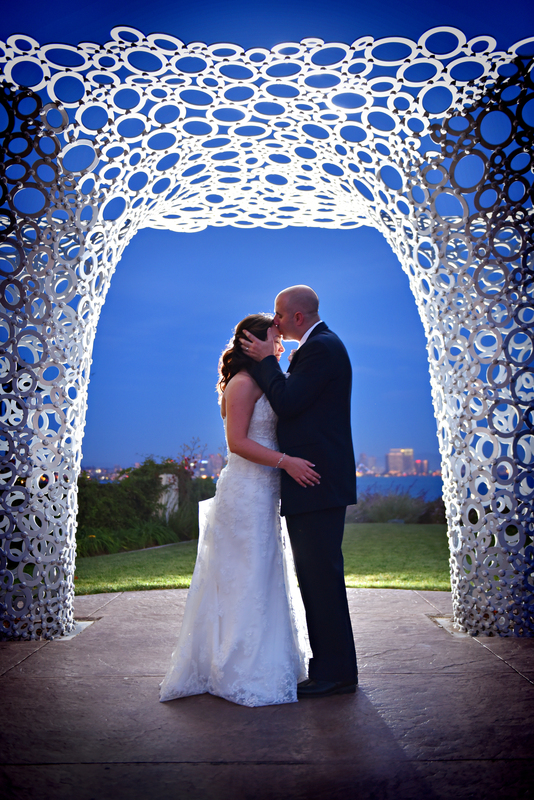 If you want to plan a quintessential San Diego wedding and show off the beauty that is our city, selecting Tom Ham’s Lighthouse Restaurant as your venue is a fantastic choice. For Casey and Greg’s wedding, the weather was perfect, as was the view of the Bay and our skyline. 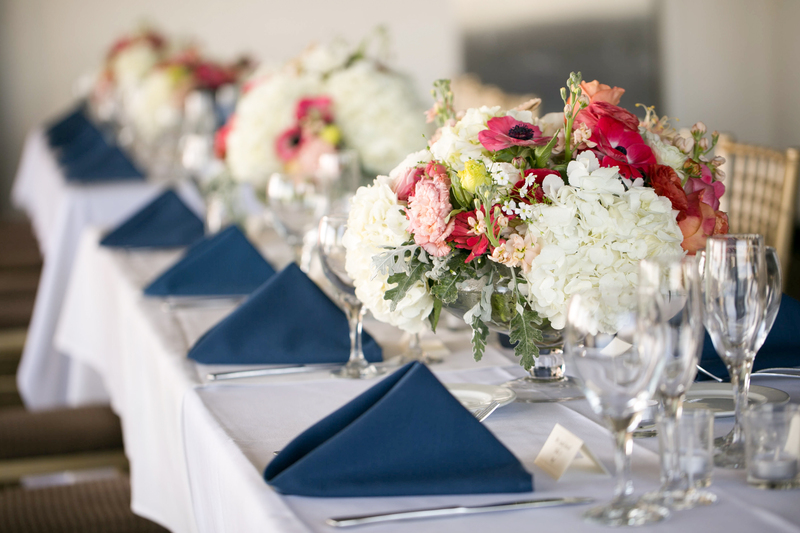 Isari Flower Studio created stunning bouquets and centerpieces to complement the navy blue and coral color theme. The wedding party walked down the aisle to music played by Caprice Strings. 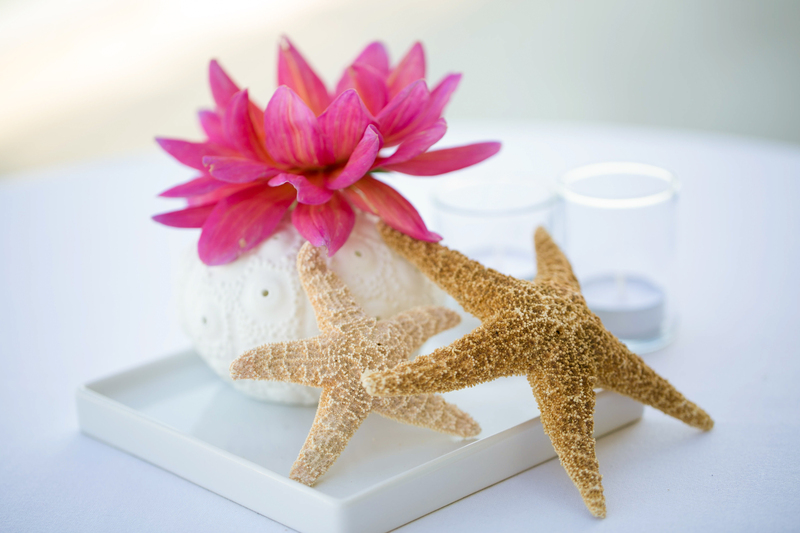 The cocktail hour decor was all San Diego featuring sea stars and porcelain urchins. The reception centerpieces included a variety of pinks and neutrals that added pops of color to the navy and white linens. 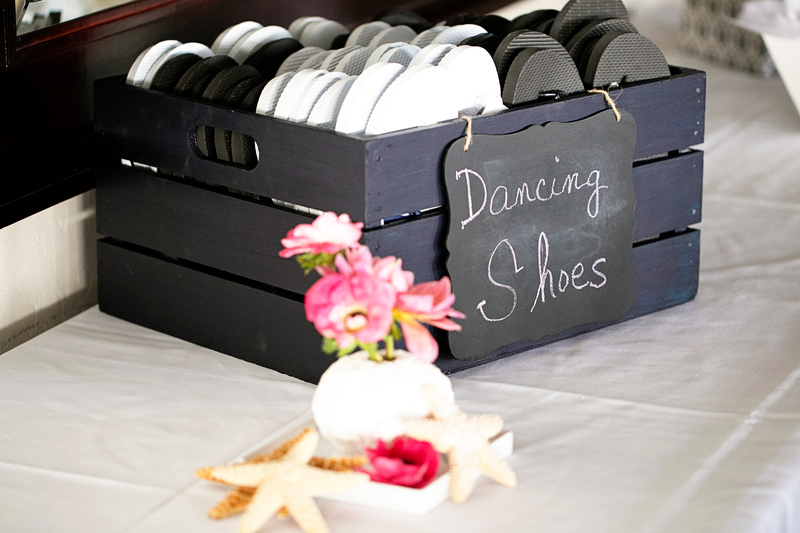 After dinner, guests were encouraged to change into San Diego-style footwear and dance the night away. 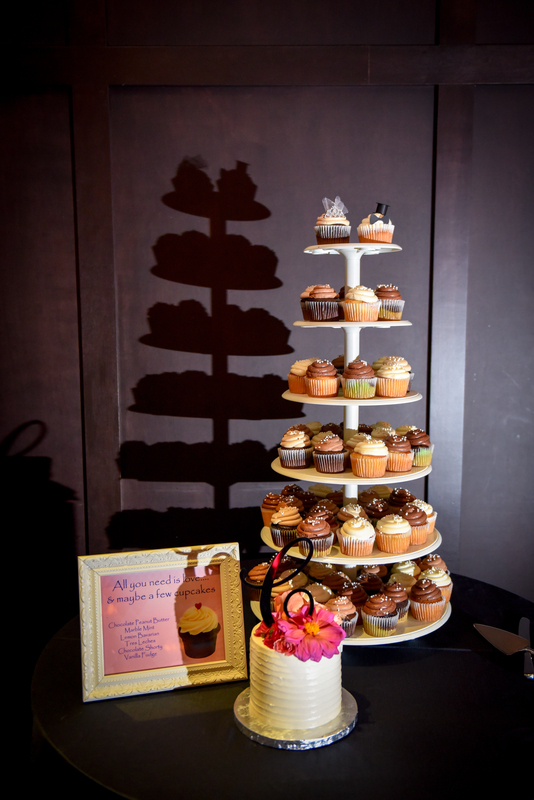 The cupcake tower by Baby Cakes was a hit with wedding guests. Previous postWe’re Featured Today on Belle The Magazine Blog!